Note: Originally published on the "Anime Archivist" blog February 2014, based on previous versions published on the "Lost World of Anime" website and blog in 2004 and 2009. And now for something a little different. This is the first part of a nine part series about long defunct anime company that has always fascinated me; Western Connection. 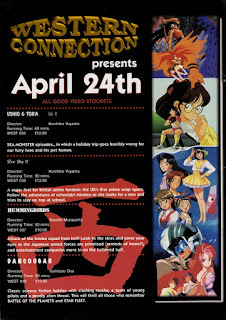 They were a very small video company based in the UK and put out a small but rather odd catalogue of anime in the mid 1990’s . Back in the mid to late 1990’s, especially living in a place like Australia, it was rather difficult obtain anime. US videos were extremely difficult to acquire and expensive when you found them. When you finally acquired the tapes, you had to deal with the video compatibility issues (Australia is PAL, the US is NTSC). There were very few places in my town which even stocked anime, however the largest local independent record/video/comic store was a real haven for anime. They stocked a few rather expensive US releases (mostly tapes that were put on the shelves because they weren’t picked up by customers who ordered them), but the far more common imports were UK tapes, mostly due to the lack of compatibility issues (UK and Europe were PAL video format like Australia). This is where I found and purchased my first Western Connection tape; “Hummingbirds”. I would later go on to collect just about every anime tape they released. But before I review some of the true oddities in their catalogue, this first part in the series will look at the company itself. In 1992, this one man video company, run by Yugoslavian immigrant Sasha Cipkalo, was releasing a quite eclectic range of mostly foreign language films on VHS. Really odd titles like Russian films from the 1950’s (“Idiot”), films about astrologers collaborating with the Nazis (“Hanussen”), Hong Kong action films (“Finalgate” aka Fatal Mission), cult French cinema (“Je t’aime moi non plus”) and adding to this bizarre mix, a series of theatrical shorts aimed at the gay market (“North of Vortex” and the “Caught Looking”/”The Attendant” double feature tape). In June 1993 everything changed for the company when they released their first anime title; “The Sensualist (aka The Life of an Amorous Man)”, a highly obscure OVA from 1990 based upon the Japanese classic 1682 novel by Ihara Saikaku. Considering the lack of advertising in the two mainstream anime magazines of the time (Anime UK and Manga Mania), it’s almost a certainty that Cipkalo was completely oblivious to the rising popularity of “Manga Videos” (i.e. anime) in the UK. Manga Entertainment had shipped tens of thousands of units of “Akira”, “Fist of the North Star” and “Urotsukidoji: Legend of the Overfiend” in the previous year or so. It was probably more a case of luck than deliberately trying to tap into the market. Despite the lack of advertising, the two main anime magazines took note of Western Connection’s release and publicised it’s release. It sold enough copies for Cipkalo to realise he had stumbled onto a winner. 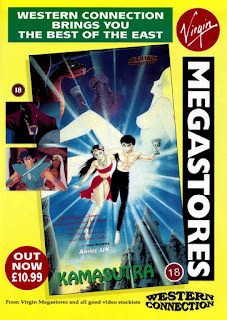 Western Connection then belatedly began advertising the tape and in mid 1994 the company released its second anime title; Go Nagai’s “Kamasutra”. 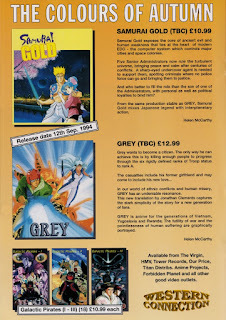 Several other titles followed that year such as an obscure dub of “The Enemy Is the Pirate” (released as “Galactic Pirates”) the movie “Grey: Digital Target” and the even more obscure “Samurai Gold” OVA. However by January 1995 the company was releasing far more commercial fare such as “Devil Hunter Yokho”, “Ushio And Tora” as well as a couple of “Lupin III” films. Oddly most of the company’s titles all came from the same studio, Toho. I can only assume that Cipkalo did a massive deal with them and got a lot of their more obscure titles dirt cheap. The other curiosity is that many of the tapes sleeves for Western Connection’s releases bore the logo of French company Ucore. One can only assume he made some deal with the company. Perhaps they were acquiring titles for him. I do know that Ucore were the company that created the English dub for “Galactic Pirates” (which was originally commissioned by the Japanese licensor, Kitty Films). Going against the grain of just about what everyone else was doing the UK anime market at the time, Western Connection almost exclusively released subtitled tapes. Only two of its anime releases were English dubbed versions. The reasoning behind this was definitely a financial one on Cipkalo’s part. Sure dubbing costs can be expensive, but it’s obvious that he wanted to get the product out there as cheap as possible. The obvious lack of quality control of the products provides more than enough evidence for this assertion. While the subtitle translations on the tapes were mostly pretty good, (all done by UK anime guru, now professional published author Jonathan Clements) unfortunately there were problems with the timing of them. They were off by a couple of seconds on most tapes and sometimes subtitles failed to appear for up to tens of seconds. Because of this it’s sometimes hard to decipher who was saying what, especially any time there’s dialogue between two or more characters. Adding to the poor workmanship was the fact Cipkalo (the subtitles would always be credited to “Sasha”) would add in bizarre and cryptic messages in the end credits about associates or friends As a result the tapes almost resembled poorly done fansubs and at times didn’t feel like commercial products. Years ago I read comments on a website from British anime fans that Sasha Cipkalo was only in it for a quick buck, and hence the company’s products were pretty spotty in terms of quality. It’s really hard to dispute that view. Cost cutting seemed to be a high priority for Cipkalo. Apart from the lax quality control on the subtitles, the tapes used for duplication seemed to be the cheapest low grade stock that was available. Brand new unplayed copies of their tapes would look like ex-rentals. 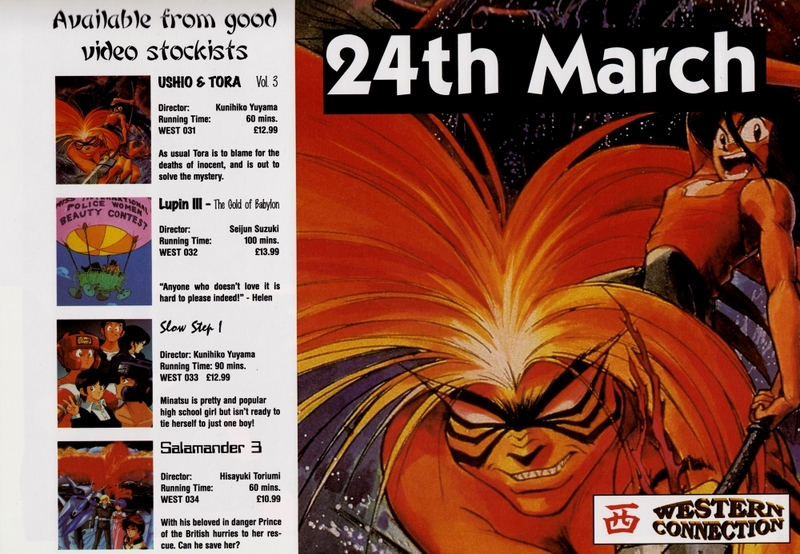 Most of the synopses on the back of their latter releases were actually taken from reviews from Anime UK magazine. Yep, Cipkalo couldn’t even be bothered to write his own synopses (or even get Clements to do it). The sleeves where also printed on quite thin low grade paper. Another thing Cipkalo liked to do is edit out openings and endings if there was more than one episode on the tape. Why you ask? Well apparently the British Board of Film Classification would charge more to classify a title if there were two or more episodes on the tape, so to cut costs Cipkalo would edit those parts out so it appeared there was one episode on the tape. With the really odd selection of titles, the sometimes oddly worded advertising and the low quality of their releases, consumers must have really wondered what the hell was going on inside this company. Jonathan Clements let the public peek into the internal workings of Western Connection with his December 2003 column, “The Far West”, published in Newtype USA (later republished in his book “Schoolgirl Milky Crisis: Adventures in the Anime and Manga Trade”). Clements recounts a story about him working as a translator for a fictionalised video distributor, but it’s obviously a thinly veiled account of his dealings with Cipkalo and his company. He paints Cipkalo as a slightly sleazy European entrepreneur who thinks of himself as a producer of films when in reality he just distributes cheaply bought anime. In the column Clements recalls the time he accompanied him to a courier company at the airport to pick up master tapes flown in from Japan. After hitting on the receptionist he instructs Clements to go back to the office and type up his translated script without using the using the letter “Y”. This was because the “Y” key no longer worked on the keyboard. During 1995 the company continued to release some extremely obscure titles, including the only Adachi Mitsuru anime ever to be released in the English language home video market, “Slow Step”. Two rather obscure OVAs, “Ladius” and “Salamander”, along with the “God Bless Dancougar” OVA (the preceding TV series and OVA had never been released in English anywhere before this release) were released in mid 1995 along with the final volume of “Ushio And Tora” and the film “Love City”. After that, the releases stopped completely. 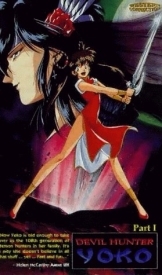 In late 1995 the news section of Anime UK magazine stated that the company had acquired “Darkside Blues” and also the remaining unreleased OVAs for “Hummingbirds” and “Devil Hunter Yohko” and were planning to release them in 1996. However the months went by and not a peep was heard from Western Connection. Despite reassurances in later issues that company were still planning to release these titles, the tapes never did come. The UK anime market cooled down substantially with many of the smaller outfits disappearing from the market. A company releasing obscure OVAs and movies only in a subtitled format was doomed to die. It seemed Cipkalo decided he’d had enough and left the industry for good (it looks like he now runs an IT consultancy in London). 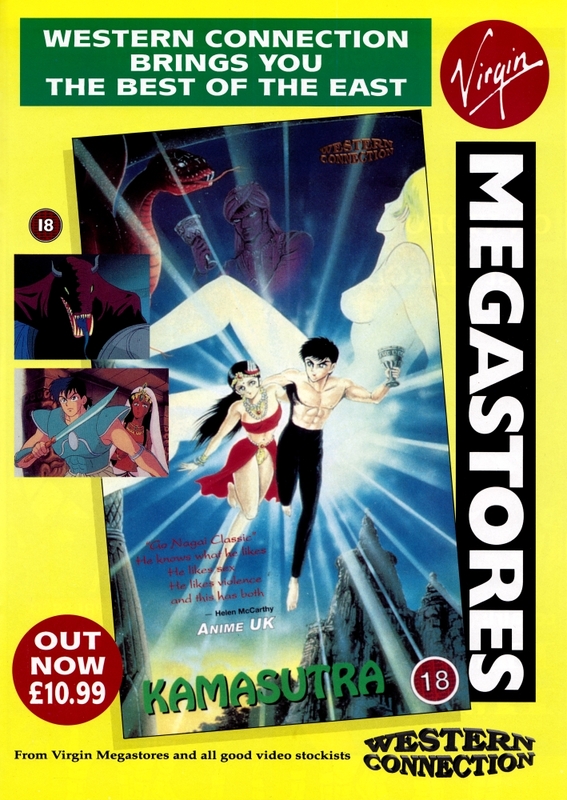 I read that (now defunct) UK anime video label Anime Projects apparently bought the company out sometime in 1996 and kept some of their titles in print. I’m not sure if that is correct, but I do recall UK distributor/online shop MVM as the only company still having Western Connection tapes in stock, still unsold on their website as late as 2004. I can only assume they bought up all the unsold stock. Even though they were pretty crappy, Western Connection brought some weird and great stuff to the English speaking world, including one of my guilty pleasures, “Hummingbirds”. It’s quite easy to dismiss such a company, but in my mind they brought out some really interesting stuff, a lot of which never made it into any other video market in English. I think it’s real shame that this company and its catalogue have pretty much been forgotten by anime fans. To remedy that situation, over the coming months I will be reviewing the more obscure titles in their catalogue. Dancougar (“God Bless Dancougar” OVA) PAL VHS, Japanese Dialogue with English Subtitles Not released by any other company in English. 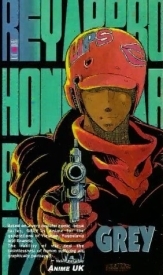 Devil Hunter Yoko Volumes 1 – 2 PAL VHS, Japanese Dialogue with English Subtitles Released by ADV Films in the US on NTSC DVD, Japanese Dialogue with optional English Dub and English Subtitles. Currently out of print. 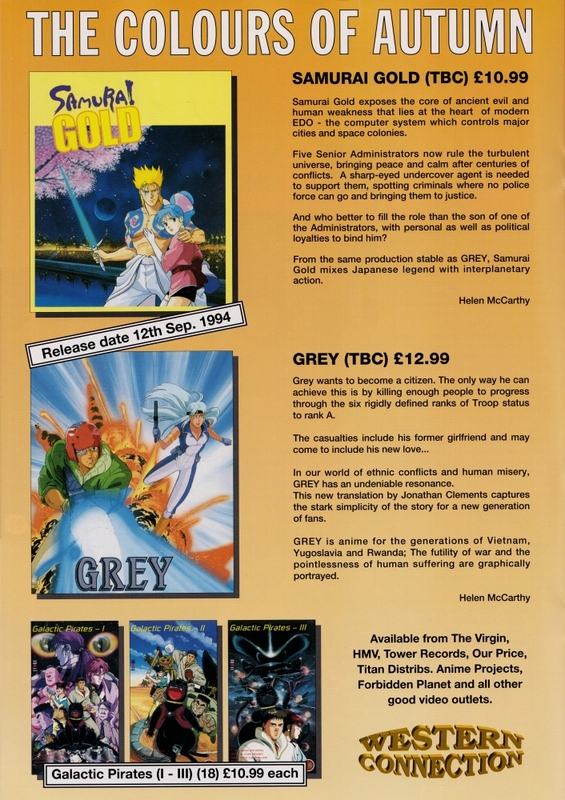 Grey: Digital Target PAL VHS, Japanese Dialogue with English Subtitles Released by Viz Video in the US on NTSC VHS, Japanese Dialogue with English Subtitles and English Dubbed versions. Currently out of print. Hummingbirds PAL VHS, Japanese Dialogue with English Subtitles Not released by any other company in English. Kamasutra PAL VHS, Japanese Dialogue with English Subtitles Released by Kitty Films in the US on NTSC DVD, Japanese Dialogue with optional English Dub and English Subtitles. Currently out of print. Ladius PAL VHS, Japanese Dialogue with English Subtitles Not released by any other company in English. Love City PAL VHS, Japanese Dialogue with English Subtitles Released by the Right Stuf (as “Ai City”) in the US on NTSC VHS, Japanese Dialogue with English Subtitles. Currently out of print. Lupin III – The Fuma Conspiracy PAL VHS, Japanese Dialogue with English Subtitles Released by Discotek in the US on NTSC DVD, Japanese Dialogue with optional English Dub and English Subtitles. Currently out of print. Lupin III – The Gold Of Babylon PAL VHS, Japanese Dialogue with English Subtitles Released by AnimEigo in the US on NTSC VHS and Laserdisc, Japanese Dialogue with English Subtitles. Currently out of print. Salamander Volumes 1 – 3 PAL VHS, Japanese Dialogue with English Subtitles Not released by any other company in English. Samurai Gold PAL VHS, Japanese Dialogue with English Subtitles Not released by any other company in English. The Sensualist PAL VHS, Japanese Dialogue with English Subtitles Not released by any other company in English. Slow Step Volumes 1 – 3 PAL VHS, Japanese Dialogue with English Subtitles Not released by any other company in English. 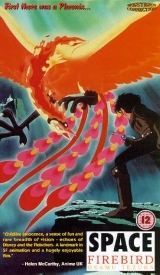 Space Firebird PAL VHS, Dubbed in English Released by Madman Entertainment in Australia and New Zealand as “Space Firebird 2772” on PAL DVD, Japanese Dialogue with optional English Dub and English Subtitles. Currently out of print. Ushio And Tora Volumes 1 – 6 PAL VHS, Japanese Dialogue with English Subtitles Released by ADV Films in the US on NTSC DVD, Japanese Dialogue with optional English Dub and English Subtitles.